We're your local health department with a staff of more than 140 people, serving over 500,000 people in more than 60 cities, villages, and towns across Dane County. 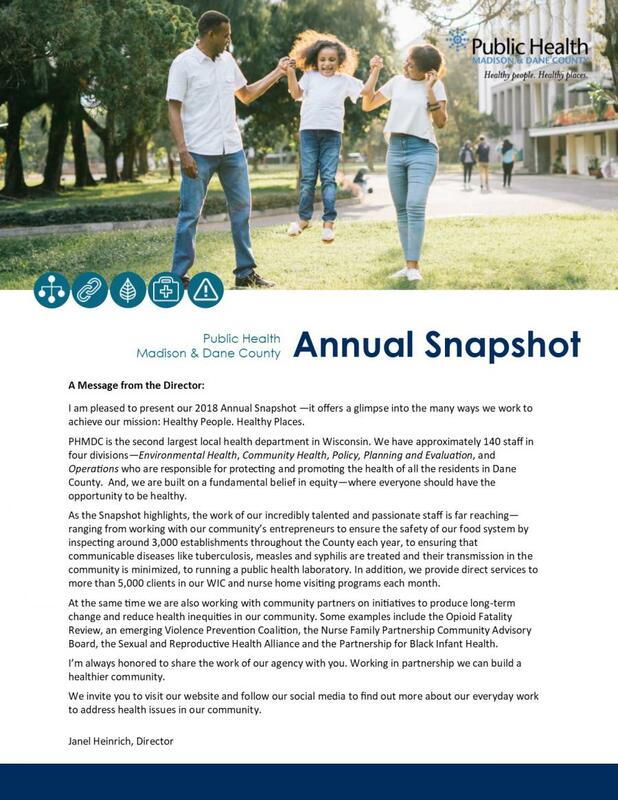 Our work to enhance, protect, and promote the health of the environment and the well being of all people has a direct impact on the quality of life we experience in Madison and Dane County. You see some of what we do in things like giving immunizations, inspecting restaurants, screening for sexually transmitted infections, and monitoring our beaches. But a lot of our work to reduce rates of chronic disease and build sustainable, healthy communities is less visible. We work hard to focus on health equity and the root causes of poor health outcomes by addressing the social and economic forces that affect the health of our community. 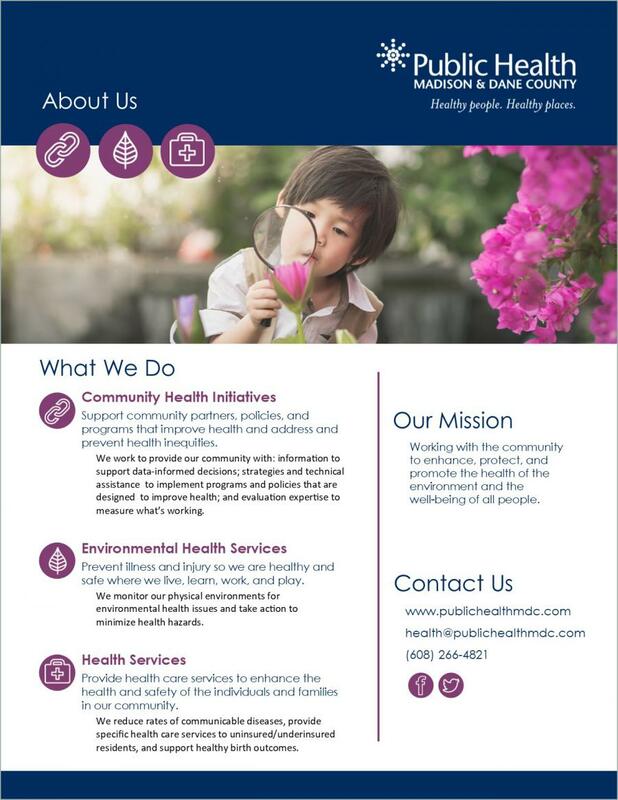 We partner with other community agencies to do things like; increase access to oral health care and healthy food, and reduce exposure to secondhand smoke. We also examine our local health data in order to track illness and to inform policy decisions that ultimately affect the health of our community. 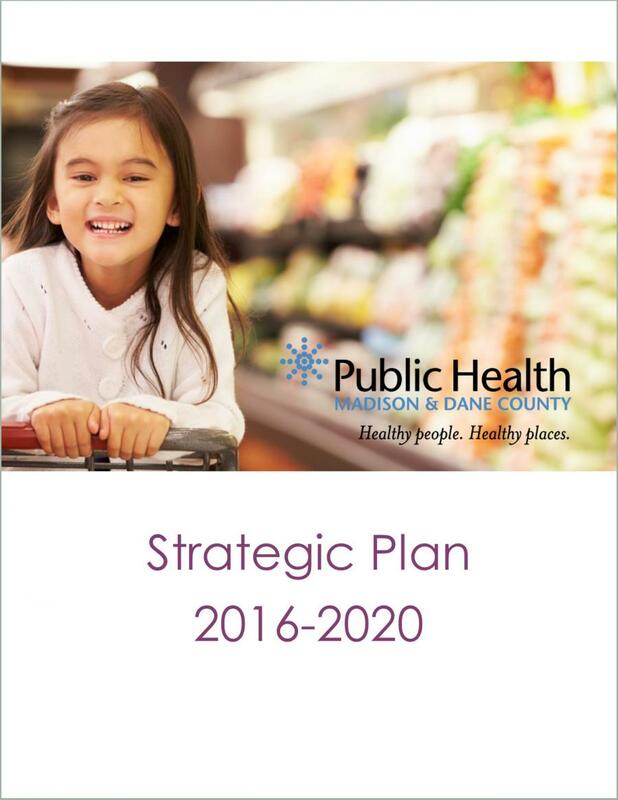 Our vision for Dane County is Healthy People. Healthy Places. To achieve this, we strive to operate with health and racial equity as a guiding principle to make sure health outcomes in Dane County are not determined by race or other group status. Our services are available to all residents and visitors of Madison and Dane County. Citizenship is not required. We provide services regardless of race, color, gender/gender expression, ability, religion, sexual orientation, or place of birth/place of residence. See more of our staff in action by exploring the I Am Public Health video series.